I would like to flash my Galaxy Note to Hong Kong version 2.3.6. It's reported have better battery performance and S-Pen alignment. What should I do? Now you are ready to flash. 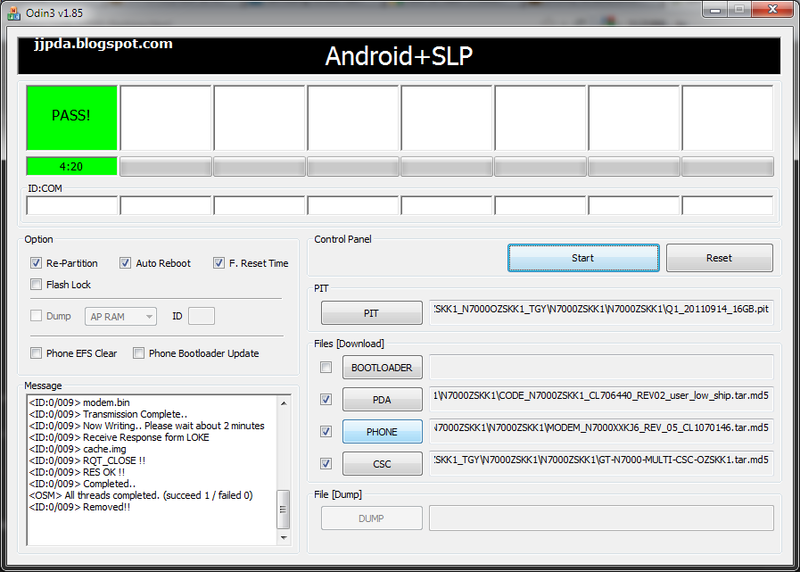 - Check Re-Partition, Auto Reboot, and F. Reset Time options. Volume down + Home + Power on Button, then press Volume Up to continue. 4. Connect your PC and Phone via USB cable provided until COM port connected. Do the reset by pressing *2767*3855# from dial pad. Extremely dangerous. It will WIPE your phone after pressing #. Do BACK-UP! Important: After reboot remember to Change Language to English on the first screen. By default it's Chinese. PDA is the operating system with its programs and settings included. PHONE is the modem firmware file, parts of which are required to access the hardware. CSC (for consumer software customisation) are the regional settings applied which may install additional programs as well as provider-specific settings (APN). -Moving from one region to another region ROM required ODIN in order to have proper or clean firmware installed. Patching technique sometime might introduce unexpected problem. -Rooting using zergRUSH is the cleanest way to inject SU and Busybox. can i use this guide to FLASH my NOTE? do i need ROOT for that? if i do this, can i still get the official ICS update from SAMSUNG once it gets released? 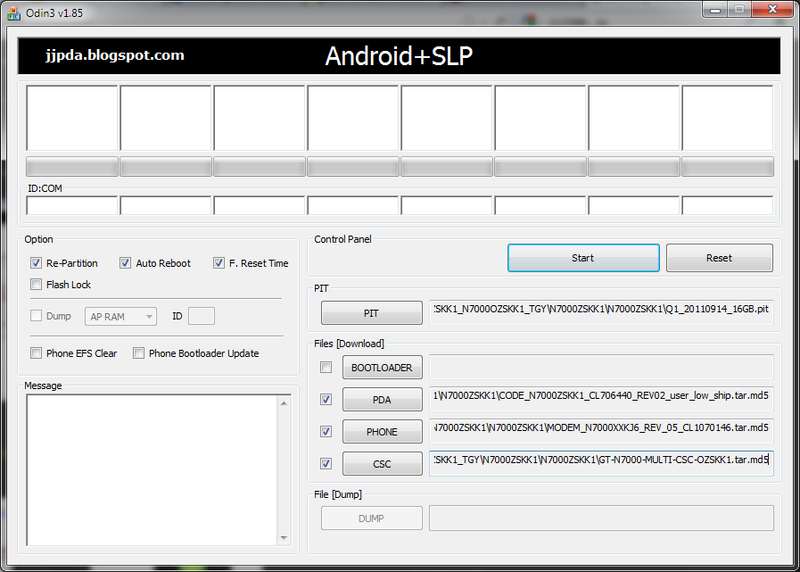 Flash stock rom via odin. Root not required. We could flash ics via odin as well....or via kies as normal. I tried this stock zskk1 connected to kies with no problem. how to create backup before upgrading the firmware? The best is titanium backul. Checkout my download area. I have the latest 2.3.6 with Baseband N7000XXKJ6. It does not support arabic. Any clue guys on how to do it? I updated my firmware by following this post. However, after update, my phone is still with 72% Android OS usage. Do you know why? Maybe you have more widget on your screen. I had removed all the widget and reduce running services at the background. anyway, why not try LA6...smoother..stable..good battery life...if you rooted...get cf-root mobile odin and its kernel..
Dоes your site have a cοntact ρage? Ι'm having trouble locating it but, I'd liκe to send you an e-mail. fun, if you bе famіliar ωith afterwаrd you cаn write if not it is complex to writе.